An orange strand here, a yellow one there—some folks got creative with their ammunition. I stood next to someone writing the name of his friend’s mother, who had recently died of cancer, on the first roll he threw. And someone, somehow, wrote the Auburn Creed. Related: Auburn unveils new plans for Toomer’s Corner. 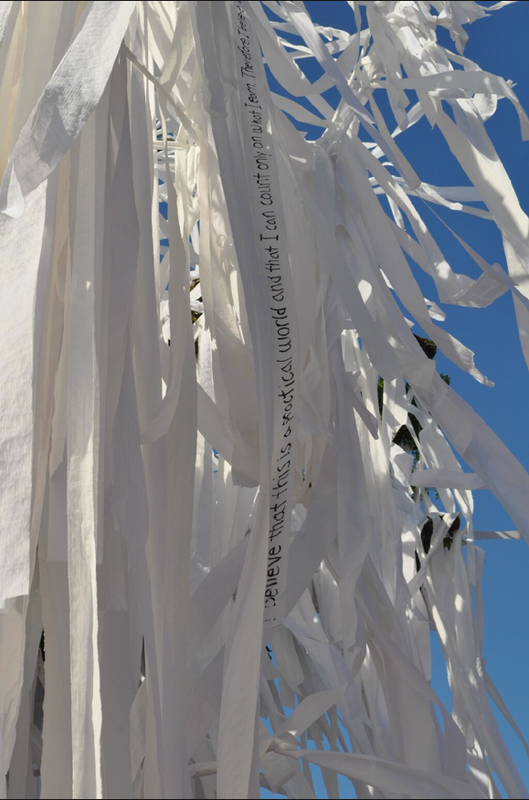 More on the the Toomer’s Oaks: That tree in the old picture of Toomer’s Corner is not one of the Toomer’s Oaks / Toomer’s Corner rollings didn’t start with Punt, Bama, Punt, says History / Did Auburn students celebrate Bear Bryant’s death by rolling Toomer’s Corner?